Teaching children about yoga and mindfulness has never been so easy! 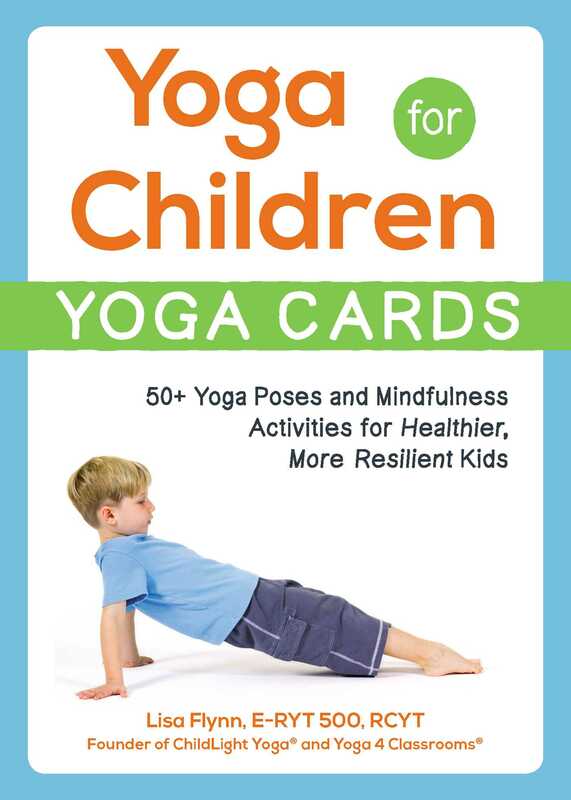 Yoga for Children—Yoga Cards offers children a fun approach to learning with a trusted and attentive instructor—you! Complete with full-color, easy-to-follow photographs and step-by-step instructions, this interactive deck includes more than 50 cards divided into four color-coded categories: Mindful Me mindfulness activities, Time to Breathe breathing exercises, Strike a Pose yoga poses, and Rest & Relax relaxation exercises. Whether you’re a parent looking for a fun activity for you and your child, or an educator, occupational therapist, or kids’ yoga teacher interested in a wonderful new resource, this deck is the perfect way to share yoga and mindfulness with children. Together, you’ll enjoy the many benefits of the various activities while—most importantly—having fun! Lisa Flynn, E-RYT 500, RCYT, Founder of ChildLight Yoga® and Yoga 4 Classrooms®, has an award-winning kids’ yoga studio in Dover, New Hampshire. Certified in several schools of yoga for children and adults, Lisa shares her knowledge with hundreds of parents, educators, and yoga teachers every year through her trainings and workshops. You can visit her website at ChildLightYoga.com.